Keurig Water Filter: The Top-Selling Single-Serve Coffee Makers! Home Brands Keurig Water Filter: The Top-Selling Single-Serve Coffee Makers! People are divided when it comes to the single brew coffee concept. Keurig is the name in single-serve coffee products and has done quite well. It has been a top seller for many years. However, some people are perplexed as to why so many other people love this concept. Some say it makes a fresher cup of coffee because you use individually packaged pods that are not exposed to air. Others say it is more convenient because you can quickly produce one cup of coffee, which is great if you don't need a whole pot and don't want to sit and wait for it to brew. Whatever the reason, Keurig coffee makers are a hot seller. However, one of the best features of this coffee maker is that it includes a filter in the water reservoir to help further refine the taste and ensure the coffee is what you taste and not the water. Ensuring your filter is changed regularly is important to reap these benefits. If you are new to Keurig, then you may not even realize it has a filter or not understand how to maintain the filter. We want to provide you with helpful information about the Keurig water filter. We also will provide you a look at the filter itself and buying options. This includes looking at alternative options that will work in the Keurig. Keurig coffee makers are the top-selling single-serve coffee makers on the market. This is a very well-known brand name. The company's full name was Keurig Green Mountain. It merged with Dr. Pepper Snapple Group in 2018 to become Keurig Dr. Pepper. Under this newly formed company, there are 125 different brands of beverage-related products. 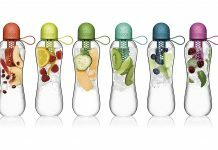 You can find the company's products almost everywhere that you can buy beverages or small appliances. Keurig coffee makers became quite popular as people liked the idea of the convenience of brewing one cup of coffee at a time. The idea for the coffee maker came about due to the office environment, and the first systems were made for offices. The idea was that office coffee often sits around in half a pot, becoming stale, bitter and cold. That is such a waste. Introducing the single-serve brew option means everyone in the office can have a fresh cup of coffee anytime they want. However, the idea also took off with consumers who wanted this system in their homes. The Keurig coffee maker uses K-cups. These are specially designed pods that hold a single serving of ground coffee and which have the filter incorporated in them. There is also the option of a reusable filter that fits into the Keurig machine and can be filled with your choice of coffee. This option allows for more variety while also answering concerns about waste and ensuring even those who do not like the coffee made in K-cups can still use the system. Every Keurig coffee maker uses a water filter to help produce the best-tasting beverages possible. 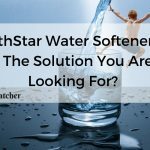 This filter is designed to help remove impurities that can affect the taste of the water and also that can affect the function of the machine. To keep the machine operating properly, it requires regular maintenance, which includes changing the filter. Depending on your usage, the filter should be changed every few months. The lifespan is based on use or number of brews. Keurig recommends changing the water filter every two months or every 60 brews. Some machines have a filter change alert. 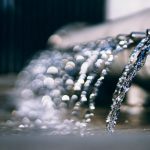 To replace the water filter, you need to do the following. You may wonder if you have to use the filter and incur the cost of replacement filters. The answer to that is you do not have to use the filter. 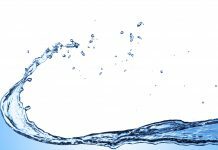 If you are using water that is already filtered, then there may be no need to use the water filter. However, if you are using tap water or other unfiltered water, then using the filter can help make your coffee taste better, and it will extend the life and function of your Keurig. The Keurig water filter is a simple charcoal-based filter. It is rounded and longer than it is wide. The specific dimensions are as follows. These filters are specifically designed to the size and shape of the Keurig system. The main goal with the filter is to remove chlorine taste and other contaminants from the water to produce better tasting coffee and prevent build-up inside the machine that requires more frequent cleaning. The filters are universal, meaning they fit all Keurig systems, but you may need to buy additional parts to get them to work in your specific Keurig model. You can but a classic starter kit, which includes a water filter handle and two filters. It is designed for models prior to Keurig 2.0. You may need a side reservoir starter kit, which includes the handle and two filters if you own the K-Select, K-Elite, K300/350, K400/450/490 or K500/590. For those who own the K-Compact or K200 series, there is the rear reservoir starter kit with the handle and two filters. These filters are pretty easy to find. They are sold by Keurig and any retailer that sells the brewing systems. They are also available in the various starter kits for your specific model. Once you buy a starter kit, you should only need to buy the filters after that. Remember, the filters are universal. Let's look at the pricing on the starter kits and filter packs directly from Keurig. 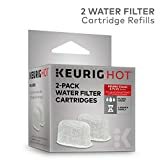 Since filters are sold by other retailers who sell Keurig coffee makers, let's also look at their pricing on these items. Do note that some retailers offer different size filter packs and some may not sell all the starter kits. As you can see, you will usually spend less if you buy from a retailer instead of straight from Keurig. The pricing between retailers, though, is pretty even. Still, though, Amazon seems to come out on top with prices. 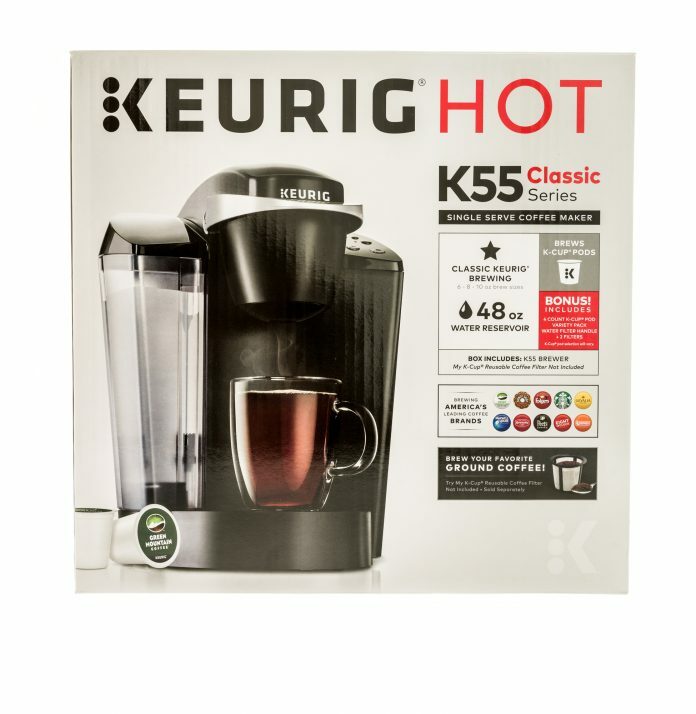 Just be cautious about buying from Amazon since some sellers may represent the products as being Keurig brand when they are actually off-brands. All the prices for Amazon listed here are all sold by Keurig, making them the best possible deal for the authentic product. As is common when you have a popular name brand product, some competitors produce a similar product and sell them for less. They are offering consumers another option. However, with these other brands, you may have quality issues, or you may see a difference between them and the name brand product. That is why it is important to comparison shop. Price should not be the only determining factor. If all other things are equal, then you can base the decision on price. With that in mind, we went ahead and found water filters designed to fit in the Keurig system but sold by other brands. As you will see, they are priced quite a bit lower than the Keurig brand. 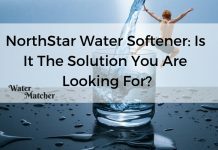 We did some comparisons to help you see if any of these are a better buy than buying the brand name water filters. Since these filters are designed specifically for the brewing system, they are perfect. They provide excellent filtration and have an exact fit. These are by far the best option if you have any concerns about function or fit. However, they are also about three times more expensive than the other options listed here, which is why the value score is so low. 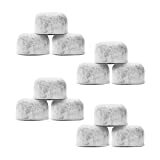 REFRESH YOUR COFFEE MACHINE WATER FILTER with this High Quality Charcoal Water Filter Replacements for Keurig Machines. These are a very similar charcoal filter to the Keurig filters. They have the same look and overall function. They also have the universal design. The issue with these filters is that they come in bulk packaging. This means each filter is not wrapped individually. Another issue is they only last half as long as the Keurig filters, so the savings here are not that big. 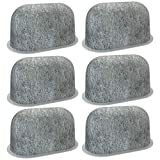 These are a charcoal filter with a coconut husk. They have a great fit and are very comparable in function to the Keurig filters. The biggest issue is the instructions that come with the filters are not complete and may lead to issues with initial use. These filters have the same two-month lifespan as the Keurig filters. They are also a charcoal filter. They match the Keurig for fit and function well. They do take longer to soak to remove the charcoal deposits and prepare them to use. They also are slightly thicker than the Keurig filters, which could be good or bad depending on your view. As with any purchase, you want to ensure that the product you are buying is the right one. It helps to get the opinions of people who already own it. That is why we looked over many different reviews of the Keurig water filter. We wanted a well-rounded idea of what you will get if you buy these filters. We were careful, though, to watch for biases that skewed opinions. We made sure we only included the most popular opinions in our list to present you with an accurate portrayal of what to expect with this product. There is no doubt that the Keurig water filter is the ideal choice to use in the Keurig coffee maker because it was specifically designed for the machine. However, it is an easy to replicate idea that has been reproduced by other brands. The thing with Keurig is it is an expensive brand. The coffee makers sell for twice as much as comparable models. The K-cup pods also sell at a higher price point than other brands or options. The same is true for the filters. They are almost three times as much as the competitor's filters. When you look at the comparisons, there are options out there that work just as well but cost far less. So, while we respect the Keurig brand and think these are good filters, we would probably suggest getting a better value by buying a different brand. Whatever the reason, Keurig coffee makers are a hot seller. However, one of the best features of this coffee maker is that it includes a filter in the water reservoir to help further refine the taste and ensure the coffee is what you taste and not the water.